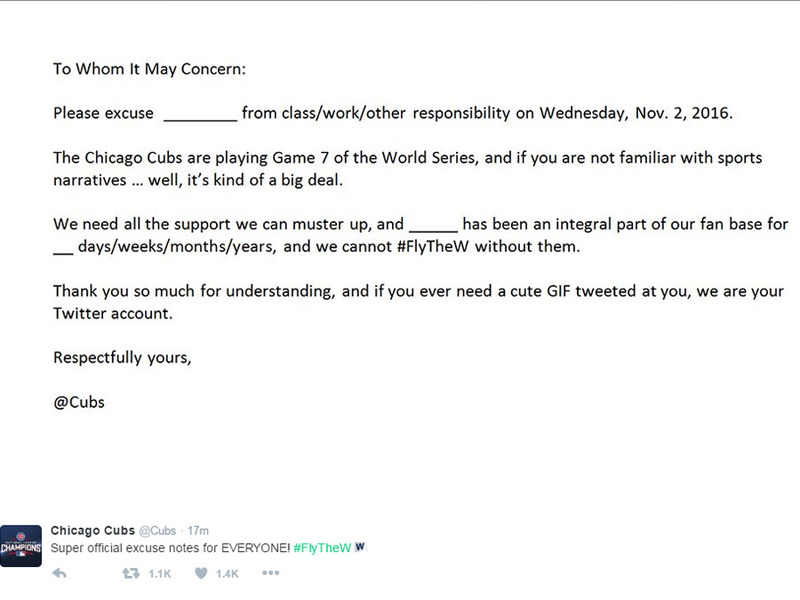 Ahead of Game 7 in the World Series, the Chicago Cubs have taken an extra step to make fans ready for the matchup. “If you’re not familiar with sports narratives… well, it’s kind of a big deal,” the note reads in part. The Cubs have gone 108 years without a championship, the Indians have gone 68.